Of course, Justice League is one of those themes where you can choose one character or many. You could have siblings of different ages each dress as their favorite Justice League character. Then the biggest decision of all is whether mom and dad also choose to join the League too. Don’t miss out this Halloween. 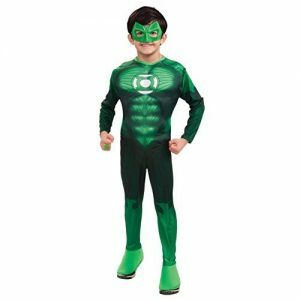 For the price on this kids Green Lantern costume, click here. Who should wear the Justice League costumes? 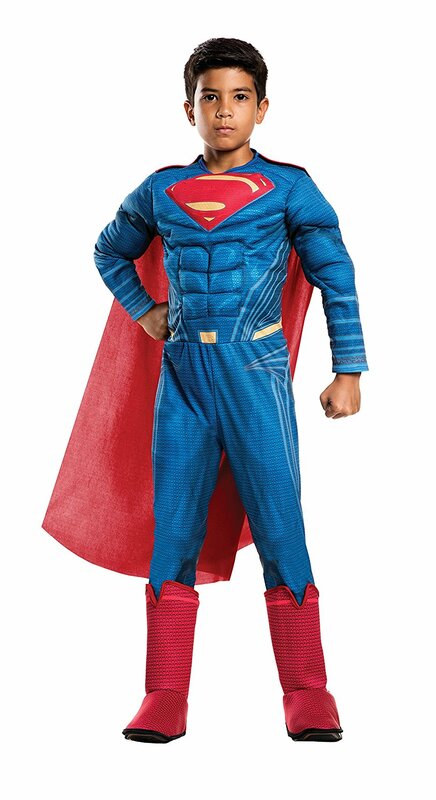 ⇒ For a great price on this officially licensed Superman kids costume, click here. Which girl characters are in Justice League? For girls, you can choose between Wonder Woman from the movie or Batgirl and Supergirl who are not in the movie. Batgirl and Supergirl’s outfits are very similar to those of their male counterparts. Supergirl has just about the same outfit as superman, but with a skirt instead of Superman’s pants. Are there accessories for Justice League? 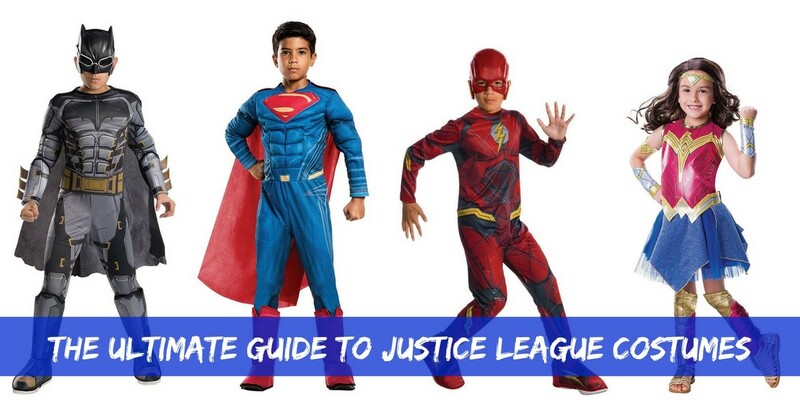 If you already have part of the costumes, there are accessories sold separately online for Justice League costumes. You can think about getting items like the Flash’s gloves, Aquaman’s beard and hair, or Wonder Woman’s shield. 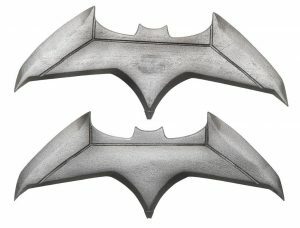 And don’t forget the all-important Batarangs for Batman (see picture). As with any costume, you usually have the find your own shoes. Think about this before Halloween so you don’t get stuck for shoes at the last minute. Boots are often a good addition to an outfit. Be sure to consider this plenty of time ahead. Whether you choose group Justice League costumes or select a solo character, you’re going to love being one of these superheroes. With Justice League costumes you really can’t go wrong. This is a child’s size Aquaman Costume. For the details and price, please click the image to see more. This is the Aquaman shirt. 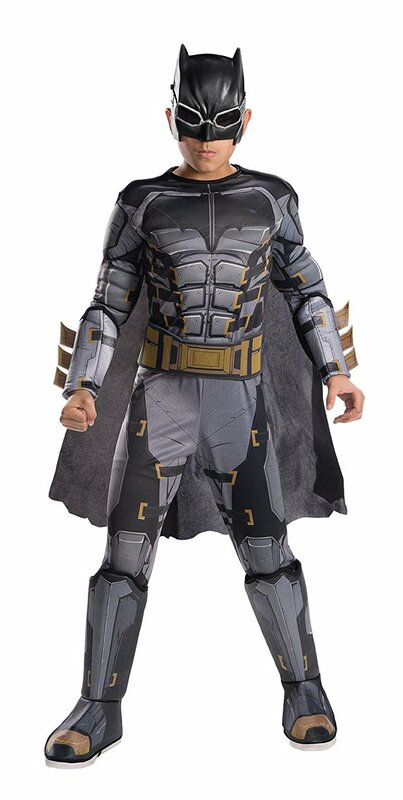 You can pair it with the wig and beard for an easy Justice League costume. Remember to order a Trident accessory too. Here is the Justice League Aquaman Trident costume accessory. Order it online in time for Halloween. ⇒ Looking for more superhero costumes? What about the LEGO Batman Movie costumes? Click here to read more.